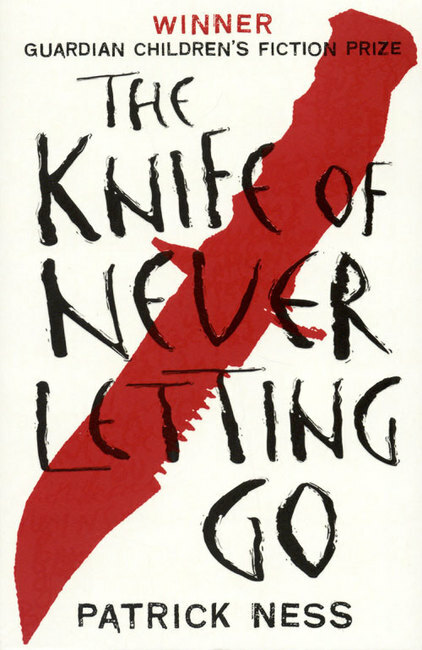 The Knife of Never Letting Go is a young adult dystopian novel by Patrick Ness. Todd is the only boy left in Prentisstown—a village where boys turn into men at 13 years old. Prentisstown is a part of the New World where people landed in search of a new start and simpler life. According to Prentisstown history, the Spackle are said to have released a noise germ which enabled the men to hear one another’s thoughts—called Noise—and killed off the women. Todd is soon learns his caretakers, Cillian and Ben, have been plotting Todd’s escape for eleven years when he encounters a girl with no Noise. The two form an unlikely team as they flee Prentisstown and the men who are hot on their trail. I liked and disliked aspects of the book. The Grammar and Misspellings: I know many people who have said after a while, they got used to the misspellings (thru, informayshun, stayshun), but I never quite did. The misspellings knocked me out of the story because my brain kept trying to correct them. Aaron: Oh my word. Nothing could stop him. Nothing. The Violence: The violence didn’t bother me because it wasn’t sloughed off as trivial or normal. When violence happened, it shook the main character. Violence was undesired. Violence changed people. Todd: His character annoyed be a bit at times, but he was a 12-14 year old boy. Adolescent boys are often irritating, so it makes sense for his character to be somewhat annoying. An excess wealth of information becomes noise, and too much noise can drive a person mad. Believe hope is at the end of the road. The mistakes or sins we inherit through family or heritage do not define us. We are the choices we make. The book was fast-paced, action packed, and took my by surprise. 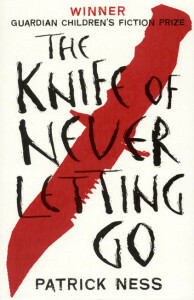 The ideas in the story were decent and left me with something memorable to take away from the story. The cliffhanger is one of the worst I have ever experience. Overall, I give it 3.5/5 stars. Definitely going to read the second book.